This low mileage sedan has just 66955 kms. It's indigo ink in colour. It has an automatic transmission and is powered by a 126HP 1.8L 4 Cylinder Engine. 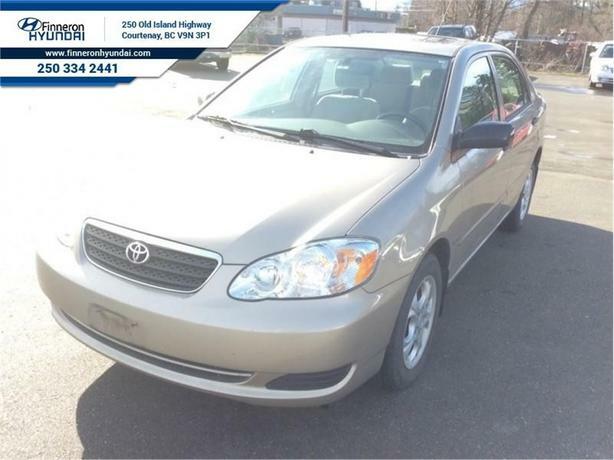 It comes with Air Conditioning, Cruise Control, Power windows and door locks, AM/FM CD player and more.This 2008 Toyota Corolla is for sale today in Courtenay. Buy this vehicle now for the lowest bi-weekly payment of $97.39 with $0 down for 48 months @ 8.96% APR O.A.C. ( Plus applicable taxes - Plus applicable fees ). See dealer for details.